Work smart with this compact All-in-One printer. Ideal for home, enjoy wireless operation via smart devices and the cloud with the Canon PRINT app. With 5 individual inks, auto 2-sided printing and an intuitive 7.5cm (3-inch) touchscreen, expect fast, premium results. 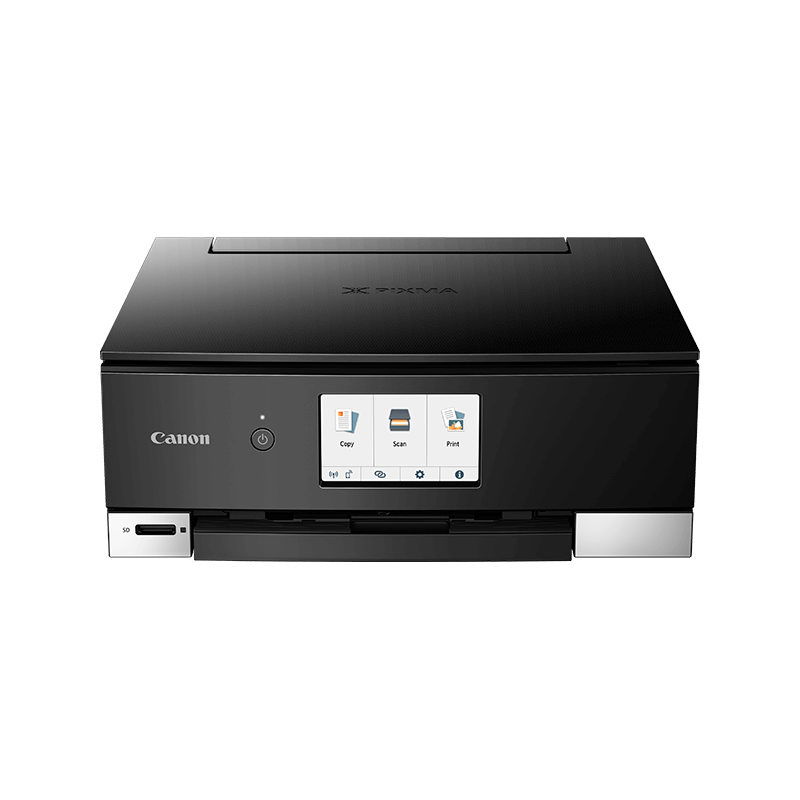 Print, scan, copy and access the cloud* thanks to the Canon PRINT app with PIXMA Cloud Link. If you don't want an app, print using AirPrint (iOS) and Mopria (Android). Use genuine Canon inks, media and the FINE printhead to benefit from 100-year album life. Optional XL and XXL cartridges** can also print more pages and save you money. Experiment with restickable, magnetic and square media, get designing with Easy-PhotoPrint Editor, and try activities from Creative Park to boost your creative skills. Benefit from an intuitive 7.5cm (3-inch) touchscreen with a simplified user interface for stress-free, straightforward operation. Get superb photos with the 5 individual inks and sharp documents with the dedicated pigment black ink. Results are fast - a 4x6 inch print takes just 21 seconds.